Should I learn to drive with my parents or a driving instructor? Should I learn to drive with my parents? Learning to drive is an exciting time, with the end goal of getting a licence and being free on the roads acting as a great incentive to pass your driving test quickly. But should you learn to drive with mum and dad or an Approved Driving Instructor (ADI)? 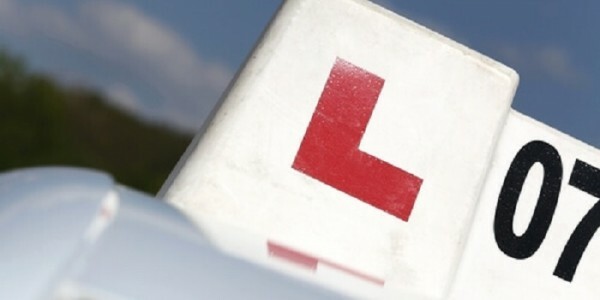 Well, there are no set rules about who you learn to drive with, but most learner drivers choose to have lessons with an ADI first and then get extra practice with their parents so they gain as much experience as possible. We spoke to Karen Bransgrove from the Driving Instructors Association (DIA) for her take on the difference between learning with a parent and learning with an instructor. Why learn to drive with a driving instructor? Anyone who charges for driving lessons must either be a qualified and approved driving instructor (ADI), or a trainee driving instructor who has passed the ADI part two test and is preparing for the third test. Check out the list of instructors registered with the Driver and Vehicle Standards Agency. "These instructors will know the current road traffic laws and driving practices. They're trained to teach you how to be safe on the road and they must go through regular tests to prove they're still up-to-date and qualified to teach," Karen explained. Why learn with a parent? You may feel more comfortable learning to drive with a parent, or another person you know who meets the criteria to supervise you. This option can be more flexible to suit your schedule, as not all instructors will work on evenings and weekends. If you're on a budget this'll also be the cheapest option, as you'll only have to pay for insurance on the car you're learning in. Veygo by Admiral's flexible Learner Driver Insurance is available from two hours to 90 days and is available instantly, meaning you only have to pay for the time you're actually practising. Driving lessons with an instructor can be very expensive. A driving lesson in the UK will cost £20-28 on average, depending on where you have your lessons. A 17 to 18-year-old will take 45 hours to learn to drive on average. It may take more time learning to drive with an instructor as they will want to ensure you're a safe, confident driver who's ready for the test before advising you to book it. Parents might have picked up bad driving habits over time and could pass them onto you. They might not know all the up-to-date road traffic laws so they may tell you incorrect information. 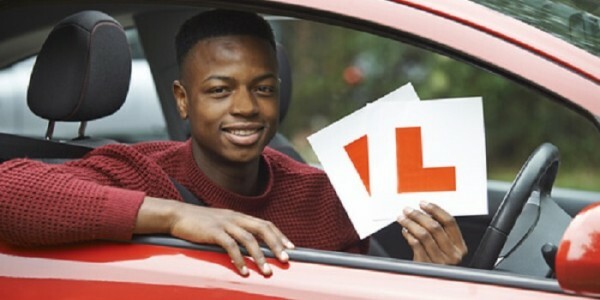 The driving test is likely to be very different now to how it was when parents learnt to drive. The roads are also much busier nowadays, which can make driving more challenging. Another concern is that parents may not know how many lessons you need, or might rush your driving lessons to get them finished quickly rather than taking the time to teach you properly and increase your driving experience. Joanne Fraser, of Darlington, taught her teenage daughter to drive four years ago. Joanne and her daughter spent around 20 hours practising in their family car. "I found it an enjoyable experience helping my daughter to practice her driving. I think it was useful for her to gain experience and it saved her money by reducing the amount of time she needed to spend practising with an instructor," she said. "It sometimes caused tension if I criticised part of her driving, which I don't think would happen with an instructor. Driving instructors also have the advantage of dual controls in the car; I found it a bit scary not having any control!" Having lessons with an instructor and then practising with a parent is usually the best way to build confidence and driving experience. However, there are sometimes conflicts between what driving instructors and parents teach learners. "Parents may not be open to changing their driving style to meet the expectations of the instructor, so learners may be taught two different driving styles," according to Karen. To overcome this, Karen advises: "Open communication between the two; they should regularly interact to discuss the aims of the lessons and what the instructor is working to achieve. It may also be beneficial for the parent to observe a driving lesson with the instructor." If you're a parent helping your teen learn to drive, read our guide for some top tips on how to help your son or daughter get that pass. If you're unsure about the whole process, check out our handy learning to drive guide to find out everything you need to know about the tests, insurance and when to practice.